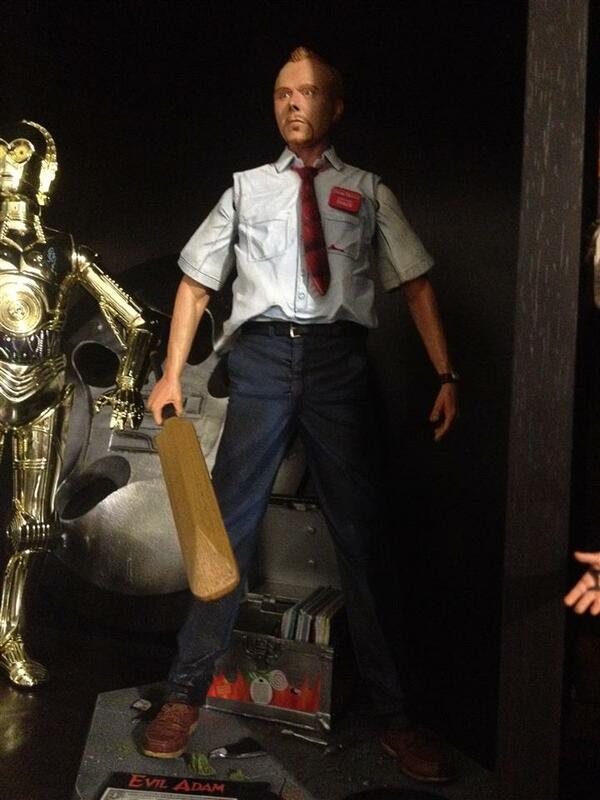 NECA 12 Inch Shaun collected in Figure Collection by Tayler Rowe - Collected It! "You've got red on you" possibly the funniest movie that Simon Pegg & nick Frost have done together and this 12 inch figure captures that comedy gold brilliantly. From the base with broken records sprawled over the pavement, to the crappy bunch of flowers that Shaun carried around the zombie infested town, NECA has tried very hard to bring the movie experience to your shelf. Although the figures face is not entirely that of Simon Pegg's, his likeness is still achieved by the figure's surroundings and accessories.